Home Visit Korea Events 2016 Cultural Tourism Festivals at a Glance! 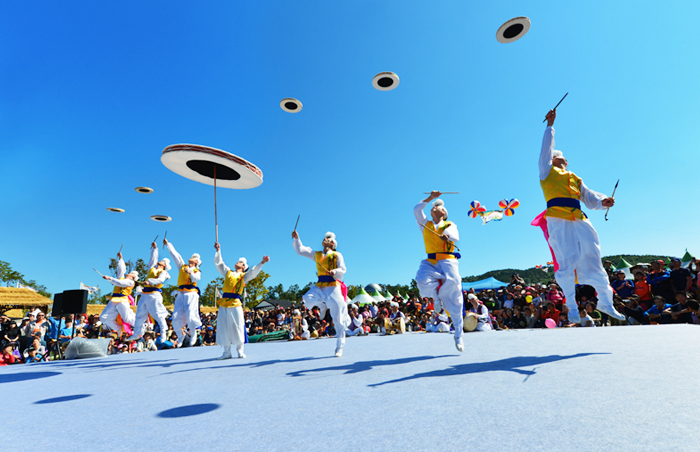 For the year 2016, the Ministry of Culture, Sports & Tourism has selected 43 representative Korean cultural tourism festivals to be divided among four categories: 3 Premier Festivals, 7 Top Festivals, 10 Outstanding Festivals, and 23 Up-and-Coming Festivals. In addition to these, three former representative festivals: Boryeong Mud Festival, Andong Mask Dance Festival and Jinju Namgang Yudeung (Lantern) Festival have been chosen as Global Festivals, as they are expected to increase the awareness of Korean tourism in the international arena. 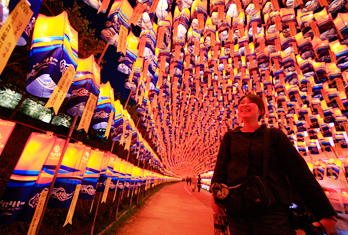 The festivals are selected based on the frequency of visits by international tourists in previous year. 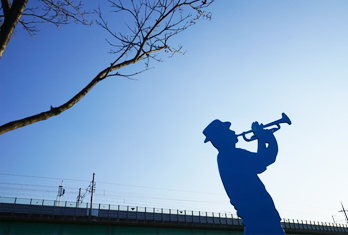 The three premier festivals are Gimje Horizon Festival, Jarasum International Jazz Festival and Hwacheon Sancheoneo Festival. Check out the list below for more festivals and details to look forward to in 2016! 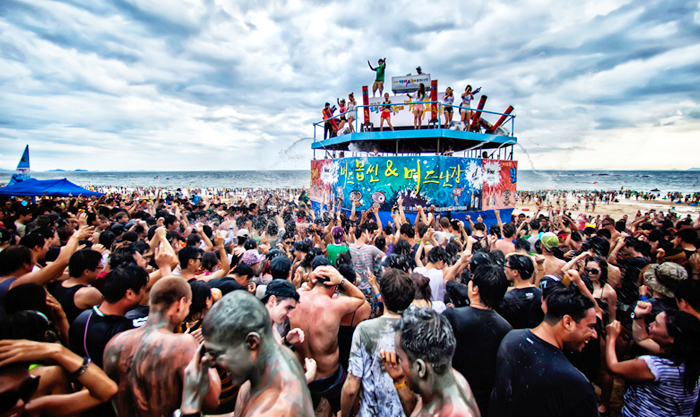 Unfolding the internationally recognized summer festival in Korea, this year marks the 19th year since the Boryeong Mud Festival was first introduced. The festival will be held for 10 days at Daecheon Beach, the largest beach on the western coast of the nation. As the name of the festival suggests, the theme focuses on the use of mud with facilities including mud slides, a huge mud bath and many other mud-related programs that are put in place for all international visitors to enjoy! 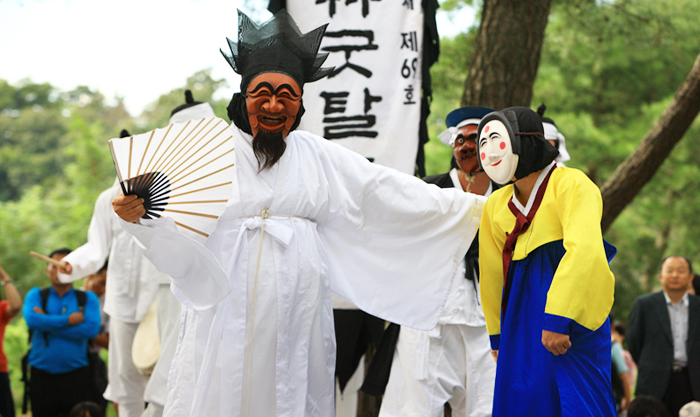 With the theme of tal (Korean traditional mask) and mask dancing, this is a unique cultural festival that was introduced by BBC and CNN. The festival will be held between the mask dance park and the center of the Andong Hahoe Folk Village, which is well-known for its preserved traditional houses that were once lived in byyangban (aristocrats) during the Joseon era. 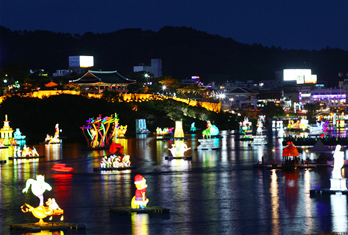 Jinju Namgang Yudeung Festival originates from the lantern lighting custom used during the Jinjuseong Fortress Battle of the Imjinwaeran War (Japanese invasion, 1592) as a military strategy to prevent Japanese troops from wading the Namgang River. The lanterns were lit as a form of communication with their family members but were gradually seen as a form of honoring the men of merit who died during the war. 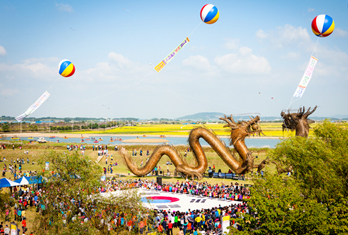 Gimje Horizon Festival offers visitors a chance to experience Korea’s agriculture as well as various traditional cultural performances. The festival highlights the beautiful natural environment of Gimje and the rice produced in the region. The expansive fields of Gimje are fertile and offer suitable conditions for growing rice. Gimje is also the largest granary in Korea. 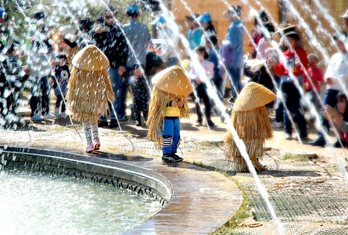 During the festival period, visitors can experience catching grasshoppers, harvesting rice, maneuvering a cart (usually driven by a cow or horse) and other exciting agricultural-related hands-on activities. 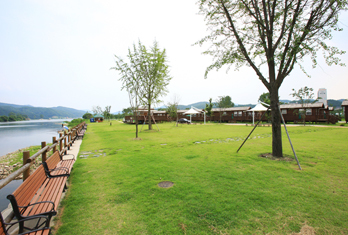 The annual Jarasum International Jazz Festival is held in early fall on Jaraseom Island in Gapyeong. As an island formed in the Bukhangang River, Jaraseom Island offers various attractions such as riverside promenades, sports facilities, and natural recreational forests. The jazz festival attracts over 100,000 visitors from home and abroad every year. Visitors to the festival can enjoy smooth jazz tunes and also get a chance to meet some of the world’s leading jazz musicians. Next articleSugarman with Best Visual Ever to Show Up!